Your information is important. We can help you take care of it. Millions of people produce billions of words a day between them. How much of it reaches its target audience intact? How much survives the year in a usable form? Does it have the intended effect? Is your business losing customers because they cannot actually read what you wrote? — in letters, in reports, in contracts, on Web pages, in documentation, in email, in white papers? If any of these sound familiar, have look at the services we provide. Implementation of business rules and exception-handling within transformations. Typesetting from transformations from XML. Séamas Ó Direáin (2015) A Survey of Spoken Irish in the Aran Islands, Co.Galway , Galway : NUIG, 1000 pp. Séamus Ó Tuama (editor) (2009) Critical Turns in Critical Theory: New Directions in Social and Political Thought , Amsterdam : Rodopi, ISBN 9781845115593 (A Festschrift for Piet Strydom, typeset from the editor's ODF XML). Mathew MacNamara (2004) La Textualisation de Madame Bovary , Amsterdam : Rodopi, ISBN 9789042009844 (An analysis of the way Flaubert wrote Madame Bovary, with parallel-aligned text showing Flaubert's edits and notes alongside Prof MacNamara's crticial explanation and comments). Carlo Collodi, retold by Pádraig Ó Buachalla and illustrated by Roberto Innocenti, edited by Seán Ua Súilleabháin and Dáibhí Ó Cróinín (2003) Éachtra Phinocchio , London : Random House, 142 pp, ISBN 0954455401 (A new Irish rendering of the traditional Pinocchio story, with illustrations positioned identically to their location in the other translations). C Trallero-Giner, R Pérez-Alvarez and F García-Moliner (1998) Long Wave Polar Modes in Semiconductor Heterostructures , Oxford : Pergamon, 165 pp, ISBN 0080426948 (Largely mathematical work edited by the authors in Scientific Word (LATEX) with every equation scaled to a different type-size to fit the page). Aloys Fleischmann (1997) Sources of Irish Traditional Music c. 1600-1855: An Annotated Catalogue of Prints & Manuscripts, 1583–1855 , New York : Garland, ISBN 082406948X (The late Prof Fleischmann's life's work, edited and brought to publication by Paul McGettrick and Micheál Ó Suilleabháin. We provided the programming and typesetting for the musical index, a unique 12–note locator for the tunes, titles, and first lines). Seán Connolly (1997) Bede: On Tobit & the Canticle of Habakkuk , Dublin : Four Courts Press, ISBN 1851822836 (Translation with notes; with an Introduction by Diarmuid Scully). Seán Connolly (1996) Bede: On the Temple , Liverpool : Liverpool University Press, ISBN 0853230498 (Translation; with an Introduction by Jennifer O'Reilly). Jurek Kirakowski and Mary Corbett (1990) Effective Methodology for the Study of HCI , Amsterdam : North-Holland, 363 pp [Human Factors in Information Technology 5], ISBN 0444884475. Jurek Kirakowski (1988) Human-Computer Interaction: From Voltage to Knowledge , London : Chartwell-Bratt, ISBN 9144283717. Ireland is on GMT (UTC), one hour behind Central European, five hours ahead of Eastern, and eight hours ahead of Pacific time. We love to get your calls, but at 4am our time we're likely to be asleep. Please do not use web addresses, email addresses, or markup characters in your message. Applications and utilities we have developed for general use. The software and documents linked here are provided under the terms of the Creative Commons CC-BY-SA or the LATEX Project Public License (LPPL), as appropriate. A Bourne shell script to convert simple data from XML to CSV using onsgmls and awk; look, Mom — no XSLT! 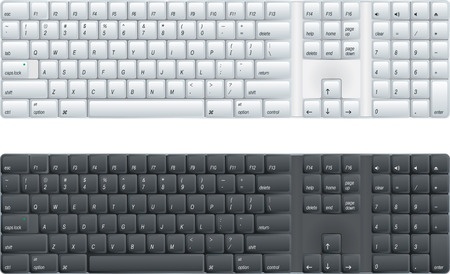 Details of accented letters and other symbols on Linux keyboards. A programmatically derived decorative swelled rule generated in LATEX (so no repeated graphics required). 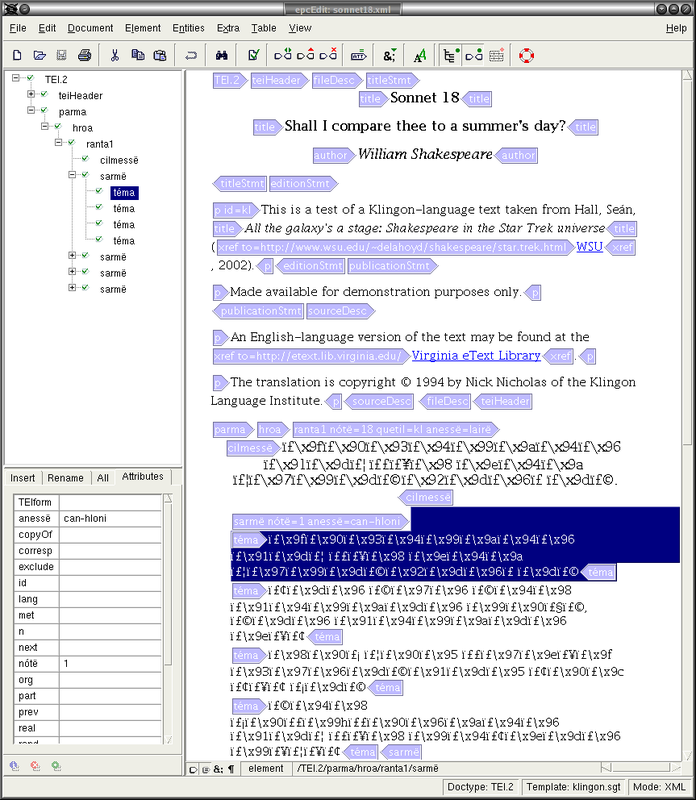 Shakespeare's 18th Sonnet in the original Klingon with TEI XML markup in Quenya (Elvish). An autorun program to make your CD-ROMs start automatically under MS-Windows by opening index.html in the user's default browser or editor. Bourne shell script using awk to create a recursive directory listing as an XML instance (comes with DTD). The software and documents linked here are provided under the terms of the Creative Commons CC-BY-SA or the LATEX Project Public License (LPPL), as appropriate. 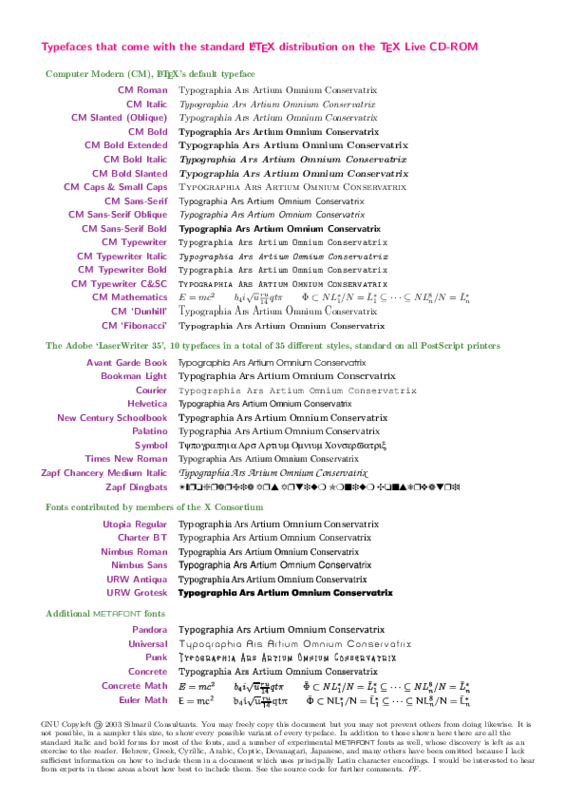 The XML and LATEX documents incorporate between them all the informational links which were on our previous Links page. This is a two-page sampler showing most of the typefaces (Type 1 and Type 3) which are available free from CTAN for any installation of LaTeX. 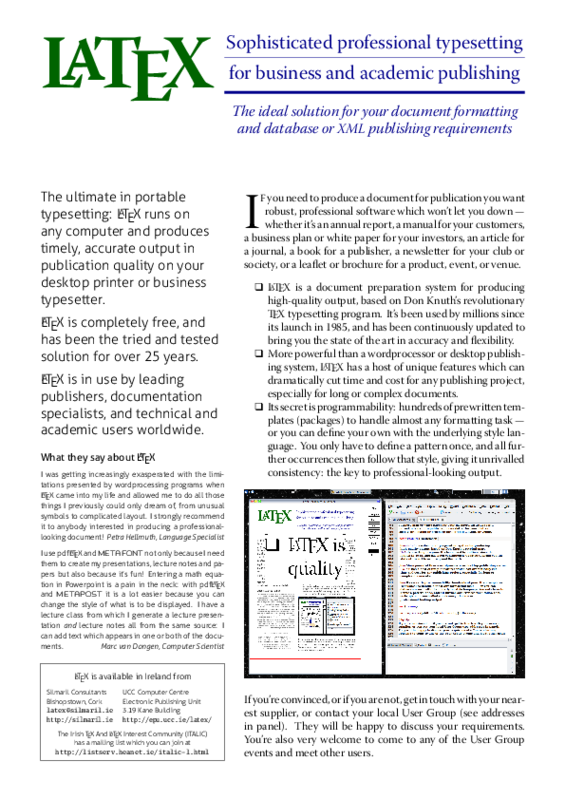 A 200-page introduction to typesetting with LaTeX designed for those with no previous experience. This is the fifth edition (an earlier edition was published by the TeX Users Group in TUGboat vol. 23 No. 2). The revised 4-page A4 marketing brochure, as described and explained in the paper presented to the TUG Conference 2001 at the University of Delaware. 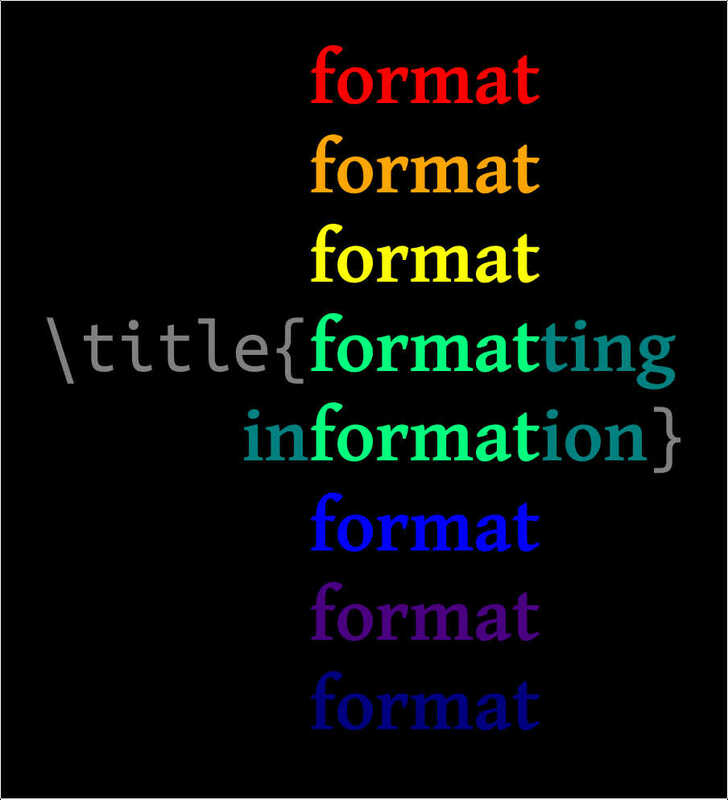 Typesetting, document structure, fonts, editing, automation, and typography (2016 is in Toronto, July 25–27). The markup conference moved in 2013 from its long-time home in Montréal to Bethesda, MD (in 2016 it’s August 2–5). Essential for anyone involved in the markup business. This is a collection of quotations, some of which used to be on our front page. So many people asked for them we decided to collect them together and keep them. If you have any more to add, please mail them to us. Amanda Lynn has very kindly translated them all into Belorussian on FatCow. Textual Therapy is the new paradigm: massaging your boss's ego has been replaced by massaging her information. Any man who would letter-space blackletter would shag sheep. XML isn't about pointy brackets and arcane rules, it's about improving your bottom line by making your information work harder. This computer networking thing will never take off…it's just a device to let operators chat to each other. Lots of systems pretend that what you see is what you get, but unless you have a 1270dpi paper-white A4 screen, WYSIWYG is just a bare-faced lie. LATEX's screen preview is great, but its real forte is that it just sets type superlatively well, again and again. For the technologically aware, the payback can be immense. The paperless office will arrive at about the same time as the paperless toilet. Our core activities centre on information handling, especially textual information. We work mainly with SGML and XML systems; information transfer from wordprocessor and DTP formats, including the reuse of legacy information; proofreading and markup validation; and publishing automation systems using XML, XSLT, and LATEX. 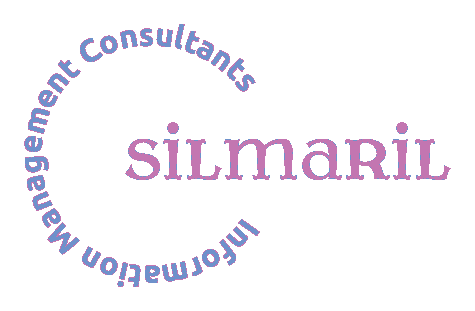 © 1994–2014 Silmaril Consultants. All rights reserved.